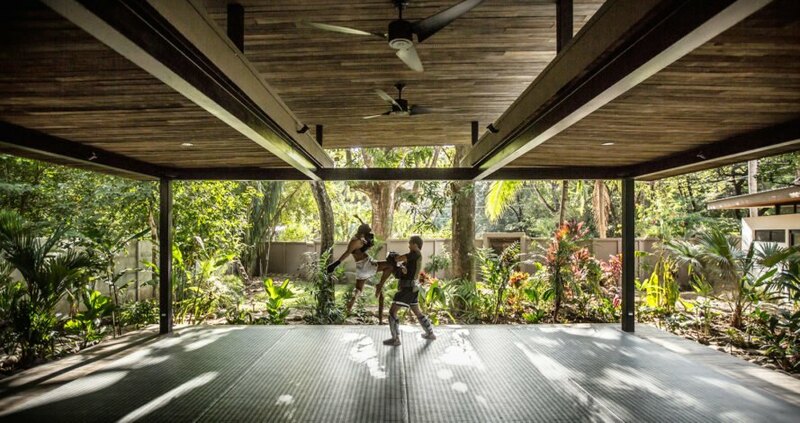 The NALU boutique hotel in Costa Rica is a sustainable jungle retreat for exercise and relaxation. Merging green building strategies with local craftsmanship, architecture firm Studio Saxe designed a series of pavilions scattered amongst the trees that offer occupants plenty of privacy. 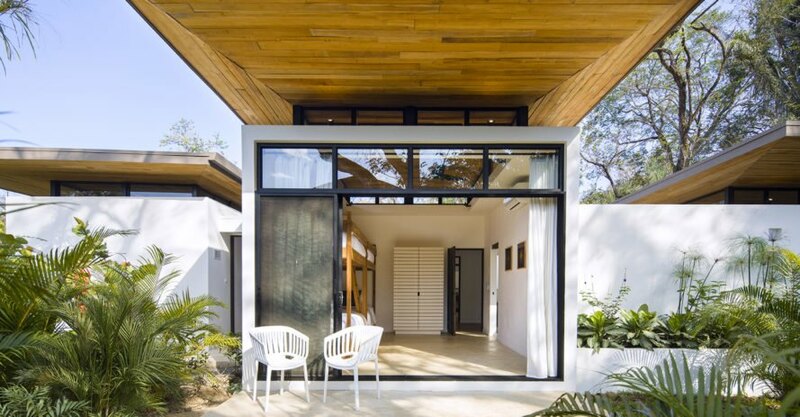 The hotel is located in Nosara, a burgeoning tourist destination for health, wellness and surfing. 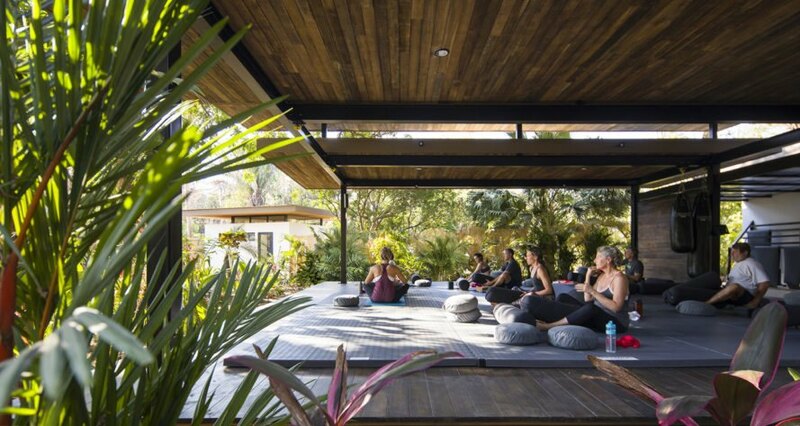 The owners, Nomel and Mariya Libid, wanted the design of the new building to reflect this attitude by offering several tranquil spaces for various types of recreation and exercise. 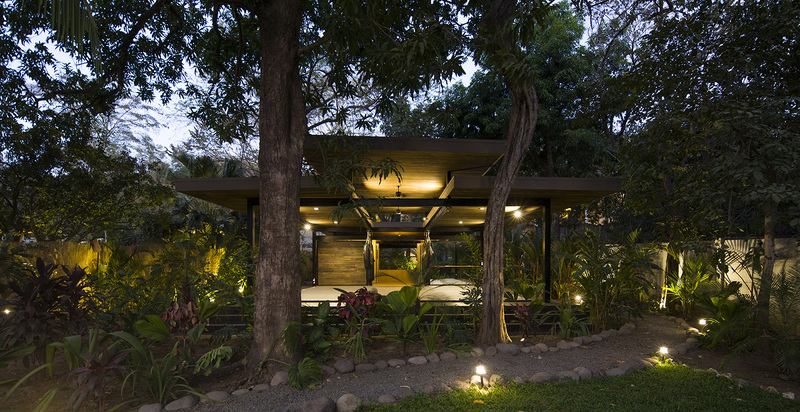 Dense jungle completely surrounds the individual pavilion homes. The architects determined optimal positions for each of the structures by conducting extensive analyses of wind and sun patterns. 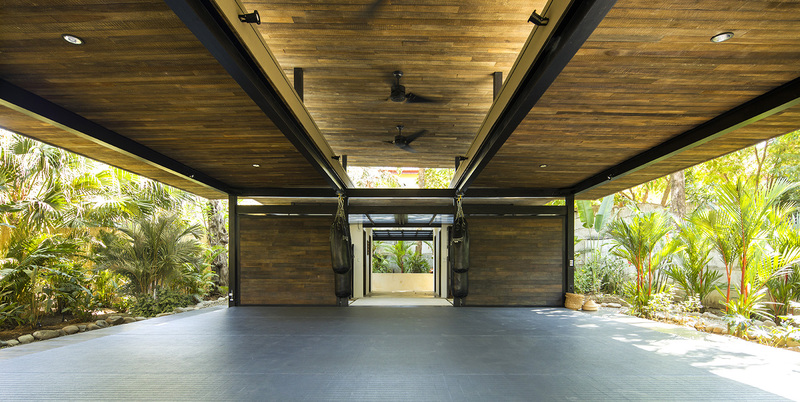 The timber roofs made of recycled Teak planks protrude over each pavilion to create shade from the intense equatorial sun. Corridors lit from the pergola roofs frame views of the lush surroundings and connect separate rooms. 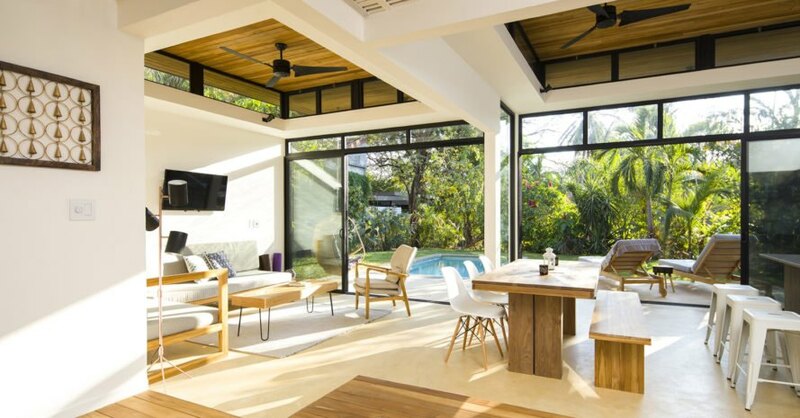 “Our project Nalu represents the power of simple, low-key, modern tropical architecture,” says architect Benjamin Garcia Saxe. “It has quickly become a town favorite, which shows that there is a real desire to occupy spaces that bring people closer to nature, while addressing the needs of contemporary life,” he adds. this just went on my bucket list!!! NALU boutique hotel in Costa Rica is a sustainable jungle retreat for exercise and relaxation. Merging sustainability with local craftsmanship, architecture firm Studio Saxe designed a series of pavilions scattered amongst the trees, offering each occupant a sense of privacy. 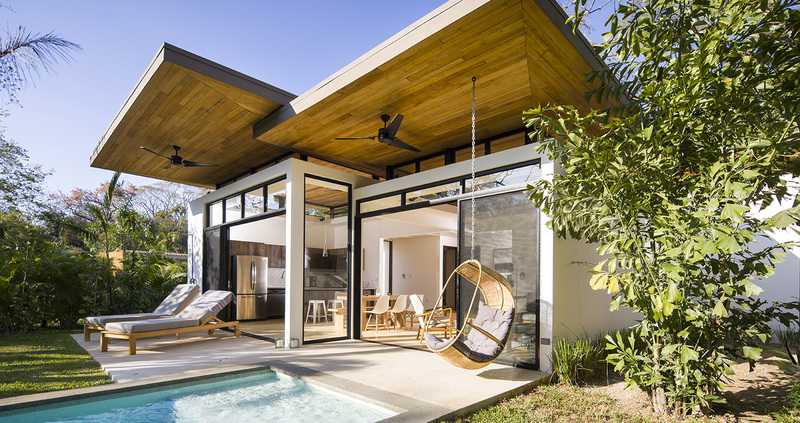 The hotel is located in Nosara, a burgeoning tourist destination for health, wellness and surfing. The owners of the hotel, Nomel and Mariya Libid, wanted the design of the new building to reflect this attitude of their visitors and offer several tranquil spaces for various types of recreation and exercise. 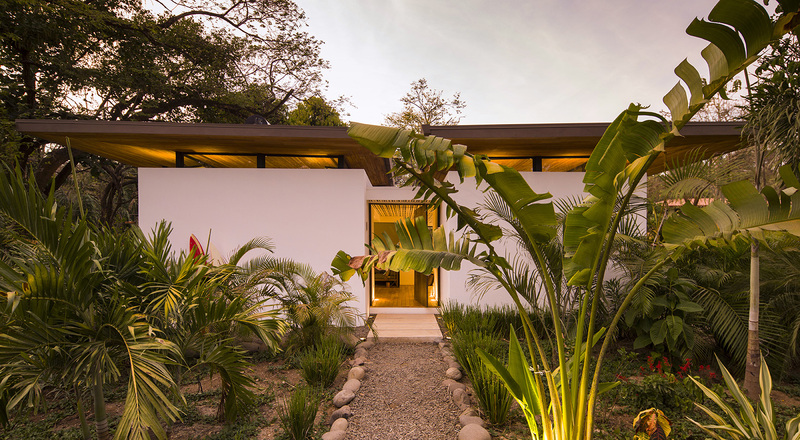 Dense jungle completely surrounds the individual pavilion homes. The architects determined optimal positions for each of the structures by conducting extensive analyses of wind and sun patterns. The timber roofs made of recycled teak planks, protrude over each pavilion to create shade from the intense equatorial sun. Corridors lit from the pergola roofs frame views of the lush surroundings and connect separate rooms. 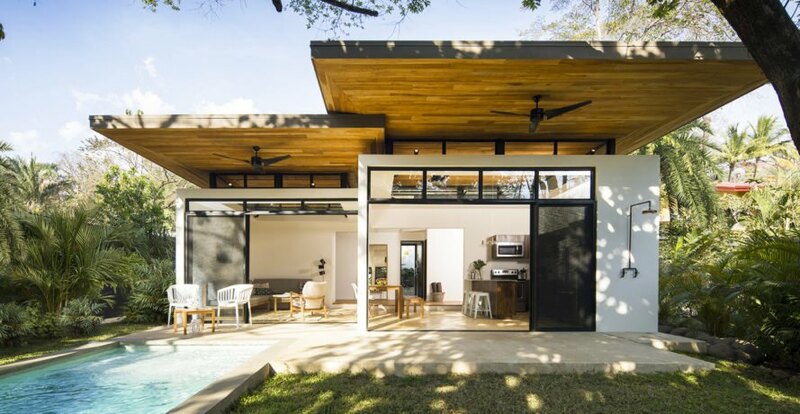 "Our project Nalu represents the power of simple, low-key, modern tropical architecture," says architect Benjamin Garcia Saxe. "It has quickly become a town favorite, which shows that there is a real desire to occupy spaces that bring people closer to nature, while addressing the needs of contemporary life,” he adds.